Bethel Music Uses Remind for mass messaging. See below for the most recent messages. Music is a strong and vibrant part of the mission and ministry of Bethel Lutheran Church. Many musical ensembles participate in the worship life of the church and our ensembles give each person a chance to be intimately involved with the worship life at Bethel. Music, especially singing, is an incredibly important learning tool and expression of faith. While the congregation continues to be the most important and influential choir at Bethel Lutheran, we offer several different vocal ensembles. Our Chancel Choir is open to anyone in the Bethel community and is the ensemble that sings primarily at the 10:30 am service. Occasionally, this choir will sing at our 8 am service. This ensemble's sole job is to learn and prepare our Christmas Cantata. Our Cantata Choir is comprised of the Chancel Choir and those who wouldn't normally commit to singing weekly in our Chancel Choir for various reasons. Rehearsals for this ensemble run August through December annually. The Junior Choir is our children's ensemble. Open to grades 3-8, this choir sings several times per year. 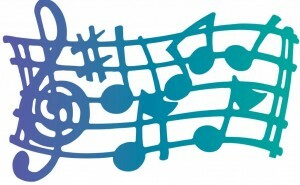 It's a great way for your child to learn about music and make friends! This choir has a floating rehearsal schedule, following the Youth Meeting schedule. Rehearsal Time - To be determined. The Contemporary Choir is the vocal component to our Praise Team. This group participates in our blended worship services occasionally held at 10:30 am on Sundays. 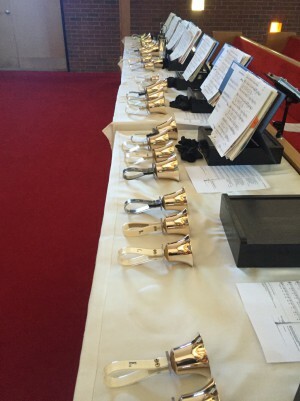 Our Handbell Ensemble performs several times per year. This dedicated group of ringers meets on Thursday at 6:30pm August through May. No audition necessary! We are always looking for new and fill-in ringers. This is the instrumental component of our Praise Team. We welcome all sorts of instrumentalists from guitar players to keyboard players to djambe and drum set. All are welcome! Join us anytime for rehearsal! We look forward to having you!